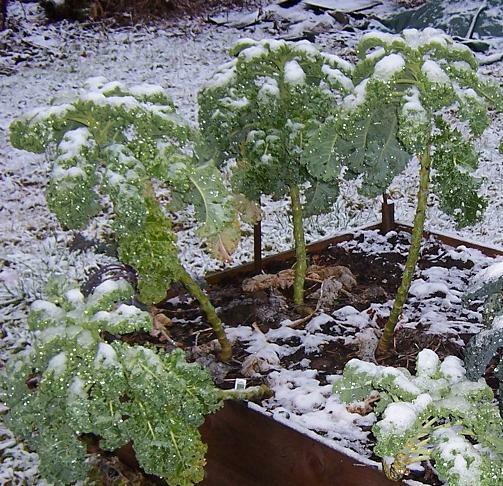 This is what the kale in our garden looked like this morning after we had a light dusting of snow last night. Some of these plants were put in the middle of April and they’re still doing great. 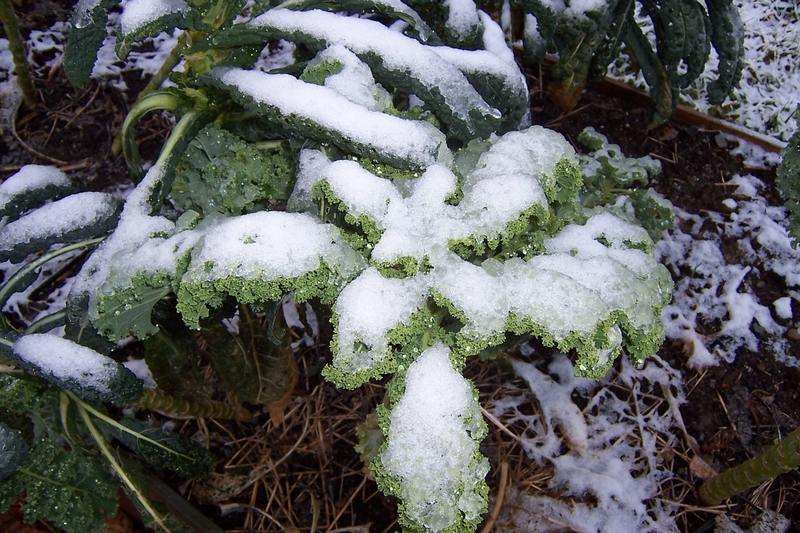 Also, the frost makes the kale taste sweeter. We still have one brussel sprouts plant left also. We have enjoyed them steamed or baked with a bit of oil, garlic, lemon juice and parmesan cheese. Yum.